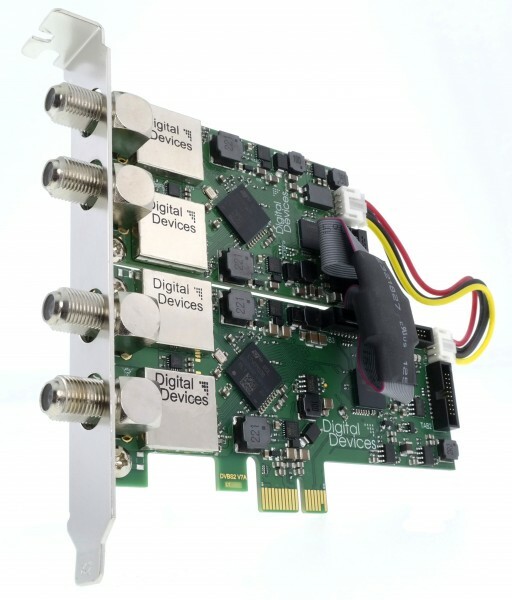 Product information "4 Tuner TV card DVB-S/S2 für PCIe (Set) - DD Cine S2 V7A & DuoFlex S2 V4A"
One cable solution to EN50494 (UniCable®) and EN50607 (JESS®) - support driver side. The TV software used must have no UniCable® or JESS® support. Related links to "4 Tuner TV card DVB-S/S2 für PCIe (Set) - DD Cine S2 V7A & DuoFlex S2 V4A"